The first round of a Bayesian analysis. Prior to any data, the prior probability of a de novo variant is very low (~1 x 10 e-8). If a read in the proband is considered that suggests a mutation rather than reference sequence, this will modify the probability. In fact, the posterior probability is 100x more likely that before. 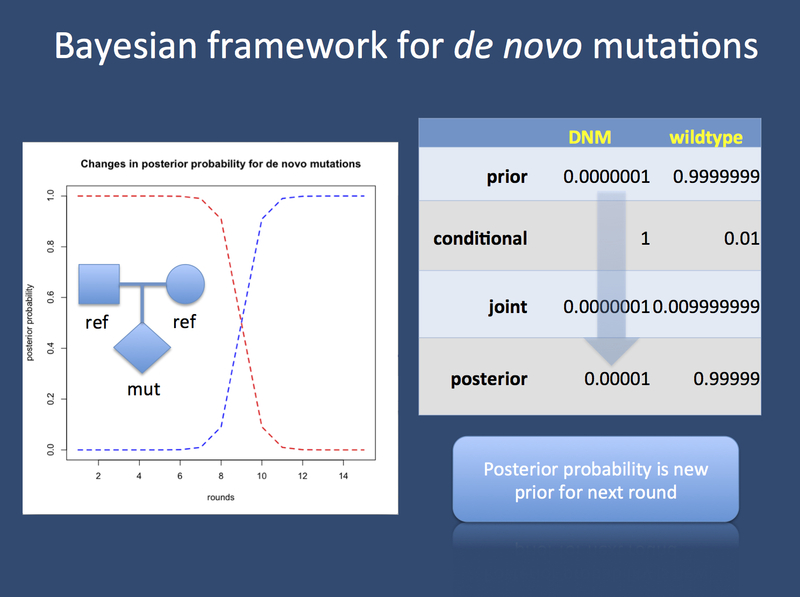 If multiple rounds with similar results are performed, the posterior probability of the reference sequence decreases (red), while the probability of an underlying mutation increases (blue). In each case, the posterior probability will become the adjusted prior for the next round.